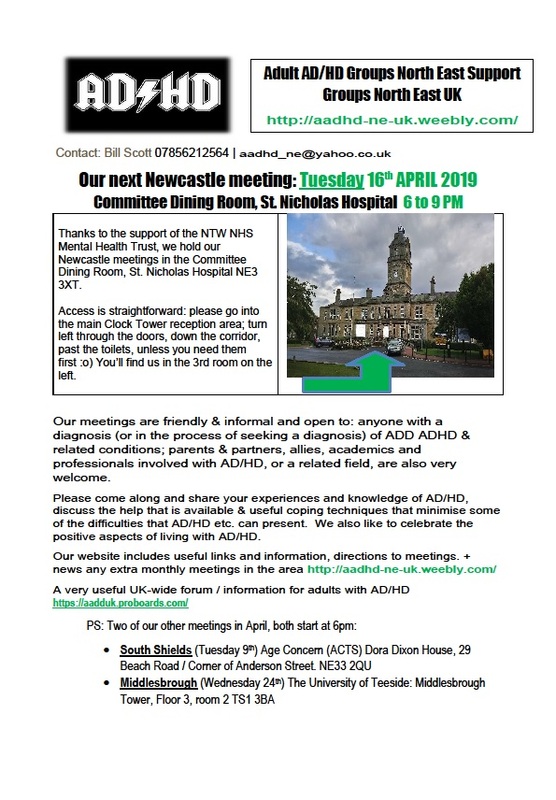 We have three meetings in April, please see the flyers for extra information. Thank you again to Age Concern for their support, what an amazing venue! 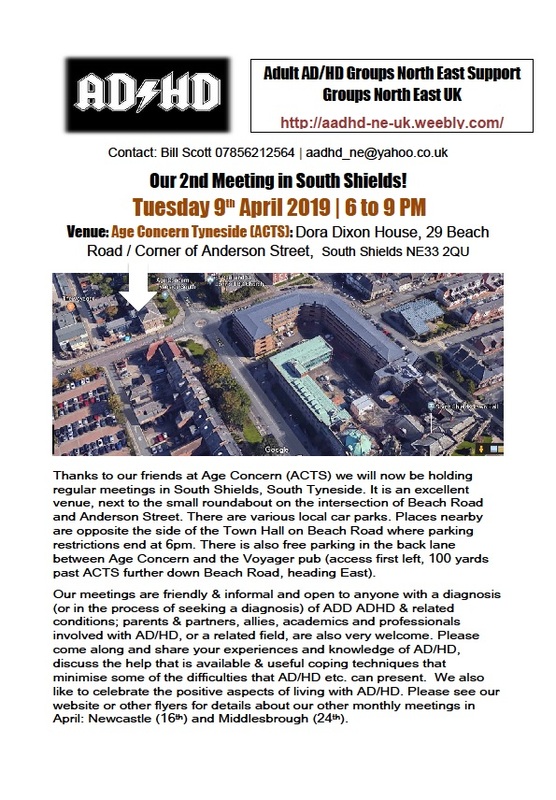 It was great to meet everyone that came along to our first meeting in South Shields last month. Download South Shields flyer here. 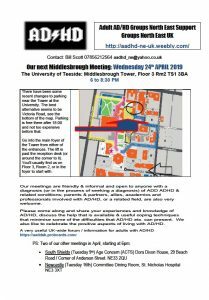 Access is straightforward: go into the main Clock Tower reception, turn left down the corridor, 2nd room on the left (or it might be the 3rd). 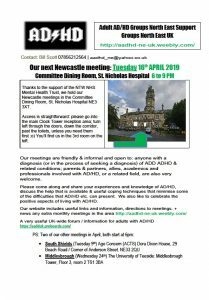 Please see the flyer or website for further details. Middlesbrough Tower is situated right in the heart of the hamlet of Middlesbrough. 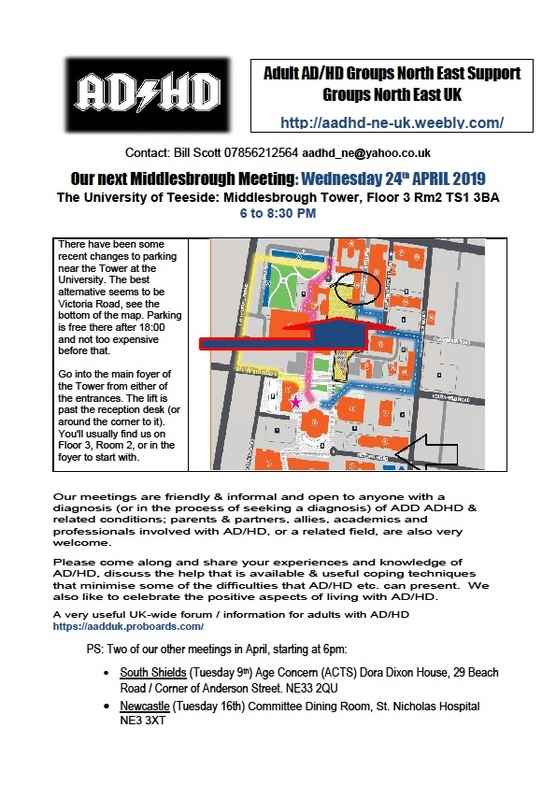 Take one of the lifts up to floor three, or use the stairs, and we are a few yards along the corridor on the left See the flyer or website for further details, including parking in the area, which has recently changed. Victoria Road seems to be the nearest place, free after 6pm. We often gather in the foyer before we go up to floor 3 in case you find the room empty! We look forward to seeing you all in South Shields, Newcastle and Middlesbrough!